Many kids play cricket in the summer and rugby league in the winter but not many do it at an elite level quite like Ryley Smith. Not only does the 15-year-old play junior representative footy with the Penrith Panthers but he’s also a very accomplished grade cricketer with the Penrith Cricket Club. 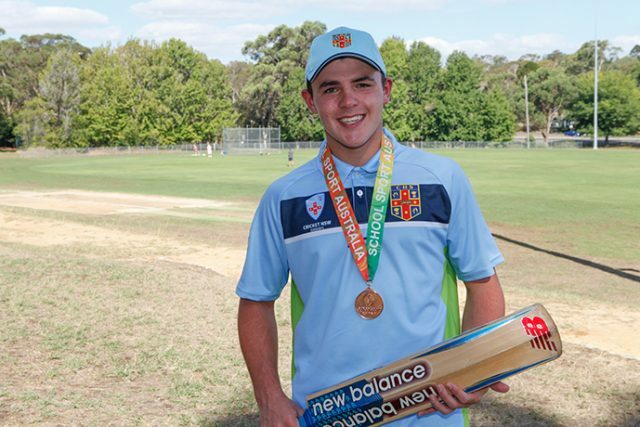 Recently, while playing for NSW at the U15 Schoolboys Nationals, Ryley was the top run scorer in his side and was subsequently chosen to represent Australia on an upcoming tour of Dubai. Speaking with the Weekender, the Cranebrook local said he was shocked to discover he was selected as a member of Australia’s U16s squad. “I didn’t even know they were picking an Australian team until the day we arrived at the tournament,” Ryley said. “As it was my first time representing my state, I just wanted to do my job, score runs and win games for the team. After scoring a total of 304 runs across his six innings, selectors had little choice but to pick the talented opening batsman for next January’s series against Pakistan. Before the side heads to the United Arab Emirates in early 2019, they’ll play as a team at next summer’s Cricket Australia U17 National Championships. While the Year 10 St Columba’s Catholic College student has dedicated his life to sport since the tender age of four, he hasn’t done it without the help of plenty in his corner. One person who has been instrumental in his success recently is fellow local cricketer and Women’s Big Bash League star Mikayla Hinkley. Living opposite each other, Hinkley has helped take Ryley’s game to another level in recent years, and it’s starting to pay off. “When I first met Mikayla I was a bit shy at first, I didn’t know what to say but then I had a few training sessions with her and she’s helped me through a lot of things these last couple of years,” Ryley said. “She’s helped me with my batting and passes on any advice that she gets from her own coaches, which has been a massive help. In the meantime, Ryley says he’ll continue to give it his all in both rugby league and cricket. Nathan Taylor is the Weekender’s Deputy Editor and Senior Sports Writer. He also compiles the weekly Chatter on the Box TV column. 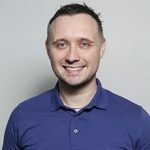 Nathan is an award-winning journalist, who has worked at the Weekender for nearly a decade.